We are dedicated to providing the best project management services with the highest quality and value. We are committed to excellence and work relentlessly to exceed expectations on all projects. "We have used NEXT Consulting for complex system deliveries as well as unique management consulting roles. In every case NEXT Consulting has delivered flawlessly!" NEXT worked closely with HomeAway to assess and validate third party acquisition sites that would align with HomeAway's technology and business strategy. NEXT also worked with the HomeAway technology team to streamline their process around migrating and/or integrating acquisitions into the HomeAway platform and to define a standardized public API for multiple integrations. "In our complex work for government and highly regulated clients, NEXT consultants add tremendous value and execute to Blue Fish's high standards for delivering the right solution, the first time, every time." 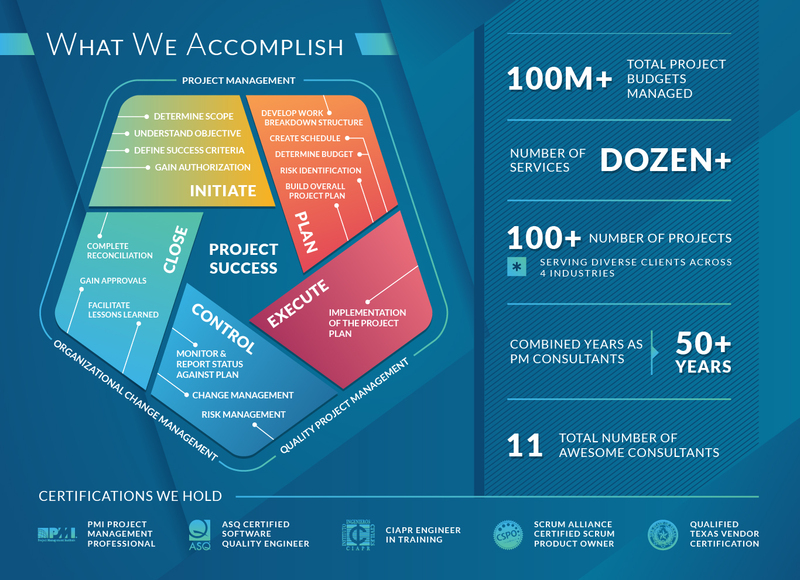 "We have used NEXT Consulting for complex delivery projects as well as unique management consulting roles. NEXT consultants add tremendous value and execute to Brightstar’s strategy to offer customers exactly what they want. In addition to excellent project management expertise, the high level of business acumen and large project experiences add insights that avoid common pitfalls – resulting in higher likelihood of achieving the objectives." NEXT manages a number of Pervacio's most challenging projects across multiple markets. These deliveries are reducing the cost of operations by improving quality and visibility, both in warehouse robotics implementations as well as retail point of sale and customer care.